Woo child! Flu season has been a kicker this year, am I right? In my county alone [Kern County, CA], there were 9 deaths during December to early January. Though officials couldn't pinpoint (or didn't specify) the cause of the deaths, the H1N1 strain probably had a big part in it (may those families affected be comforted during their loss). 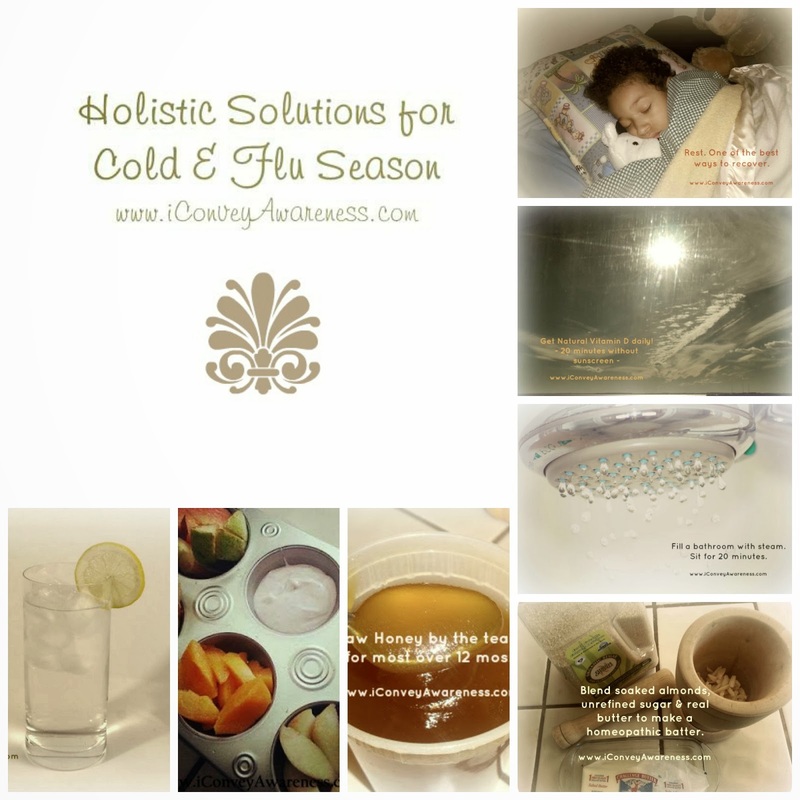 In this post, I'm sharing some tried and true ways that I've managed to keep my family of 3 as healthy as possible over this cold & flu season. I consider the following 10 tips, natural or holistic, because they're using food and natural resources (like water and the sun) and the last tip is using a homeopathic remedy. My son got a minor cold at the beginning of February. Though he slept a lot, he kept himself hydrated with tea and water. His body temperature raised about 2 degrees on one of the days but nothing alarming because he's naturally warm. His mucous stayed clear and his coughs were worse only while sleeping. Though I'm going to share what worked for my family, I'm not a medical doctor and cannot be for certain that these same tips will work in your situation; however, if you're open to learning about ways that can increase the immune system overall, these tips may work for you or your children. Use your personal discretion and if unsure, speak to your practitioner. Tip 1: Stay hydrated. 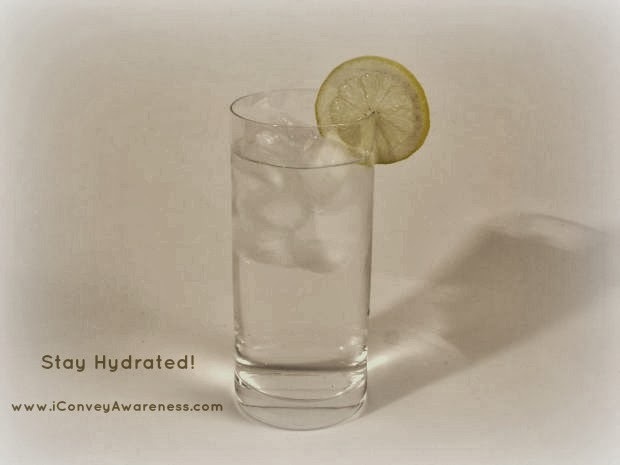 Drink water and tea (raw honey & lemon juice in water). Tip 2: Rest. It's your body's way of helping fight infection. 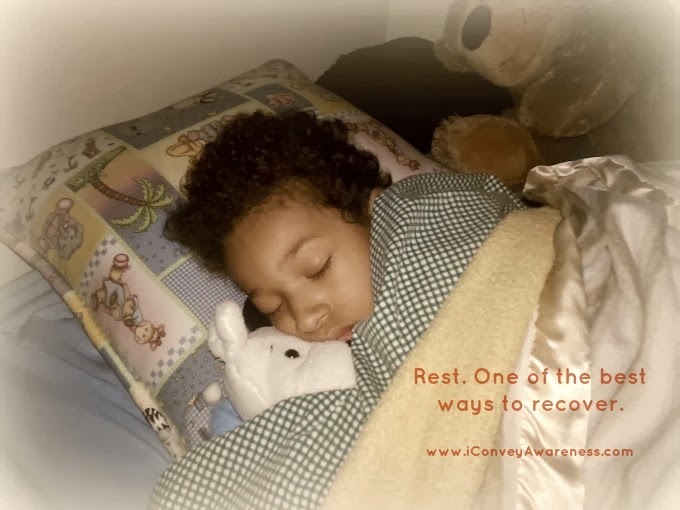 Allow yourself (or your children) to get as much rest as possible. If there's a lot of coughing at night, sleep on your side. This keeps the airways open. Tip 3: Add lots of cuddles. When my son had a coughing fit at night once and his heart was beating rapidly, I found that when I cuddled him - his head on my chest as he rested on his side beside me, his heart rate matched that of mine, and he was able to stop coughing. Sometimes when we cough, we get into a 'fit' and we continuously cough because we've got ourselves worked up. We need a way to relax the muscles and cuddling is a great way to do so. Tip 4: Every day, eat real food. Eat lots of fruits and vegetables. It's important to eat more fresh fruit when sick so that the phytonutrients and vitamins can work smarter in the body. We flood our bodies daily which a variety of 30+ clean fruits, veggies, grapes, and berries in a capsule or gummy. We double up on this product when symptoms come on and through the time of sickness. We've been blessed to not get very sick since the start of this product which is 5 years ago. You can also eat (or drink) the [real] rainbow by juicing. One of my favorite recipes is what I like to call, "Orange Crush," (it's the first one listed at the link) and with the ginger, it helps to clear sinuses, throat and nose congestion. Other tips include: Reducing (or eliminating) foods with refined or artificial sugars. Eat nutrient dense foods. Fill a grazing tray and snack on throughout the day. Tip 5: Eat raw honey by the teaspoonful a couple times a day. You can add it to your tea (tip 1) or just straight off the spoon (as long as you're over 12 months old). 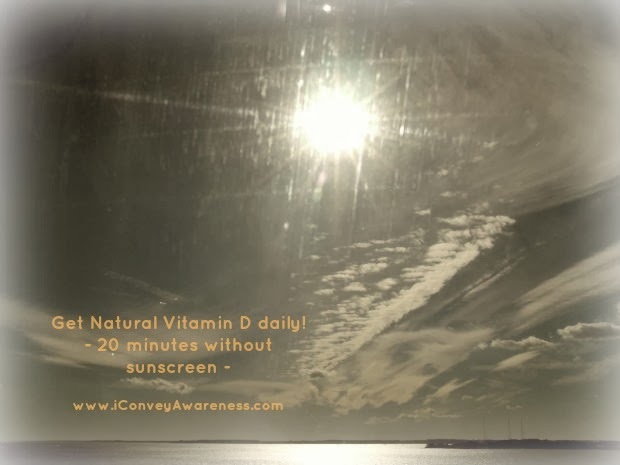 Tip 6: If you're lucky enough to live in an area with adequate sun, I recommend you sitting in the sun without sunscreen for up to 20 minutes. [Natural] Vitamin D has a way to not only boost moods but also boost the immune system (they go hand-in-hand). Many of us are vitamin D deficient and places that offer sunshine in the winter, you can get your fix from Mr. Golden Sun! Tip 7: Turn on the hot water in your shower and let the steam fill the bathroom. Note: This is the safest practice for children. Adults can fill a bowl with hot water and place a towel over their head and breathe in the steam. 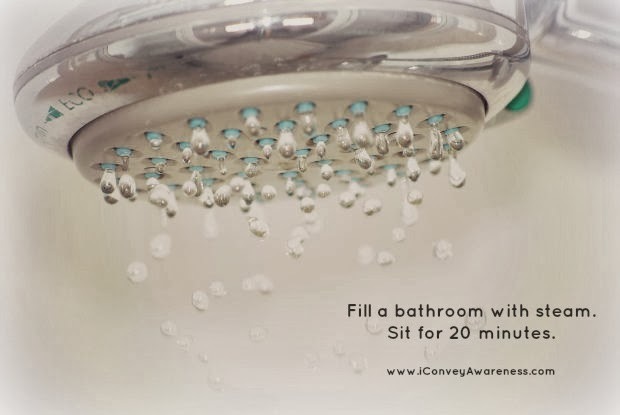 For younger ones, sit in the steamy bathroom for 10-20 minutes a couple times a day. Tip 8: As long as there are no allergies, apply a thin layer of coconut oil and peppermint oil to the chest and feet (with socks on) a couple times a day. The combined power of the two ingredients is helpful in reducing congestion and clearing the lungs. Recipe: 3 tbs of coconut oil with 1-2 drops of peppermint oil. Check with your aromatherapist regarding the safety of essential oils on children. Use your discretion and remember, a little goes a long way. 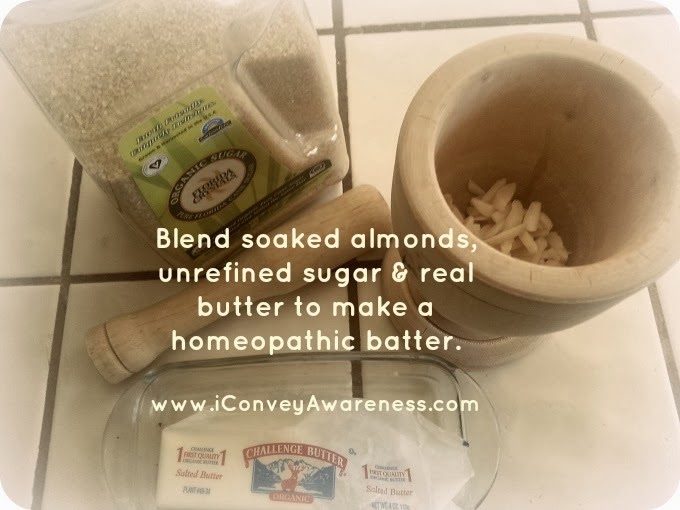 Tip 9: Make a homeopathic almond batter. My son called it, cake batter, after he first tasted it. We learned this tip on Home Remedies For You. It is a mixture of soaked almonds, [real] butter and unrefined sugar. It suggests to offer it by the teaspoon morning and night. Tip 10: Hyland's makes a Cough & Cold natural honey syrup that we use in a pinch. That pretty much covers all the methods we trust when we want to kick a sickness to the curb primarily used with our son. Sometimes, my husband and I will drink a quarter teaspoon of colloidal silver for a day or two. I find that collodial silver is great for combating a sore throat, too. Just swish (or gargle) and spit. In February, I did a 10-day challenge on ACV shots. My son was not having any of that! But, my husband and I took at least one shot every day for the first 10 days (of the challenge) and it's something we've happily included in our regimen. Benefits of ACV are listed on the label of Bragg's as well as many sites around the web but the main ones include boosting immunity and aiding in weight loss (mainly boosting metabolism). Don't forget the importance of sanitizing before, during, and after a bout with cold, flu or any infection! We use DIY air freshener. Recipe is 4 oz distilled water and 5 drops of lavender and 1 drops of peppermint E.O. I spray it on furniture, door knobs, in the air, and all around. I also use H2 by Shaklee. It's an organic toxin free cleaner and it works very well! Lastly, be diligent about washing hands and keeping fingers out of mouth, nose, and eyes. I also recommend a DIY hand sanitizer with Aloe Vera gel, lemongrass and tea tree essential oils. If you have some remedies that you'd like to share, please do so in the comments section. I'm open to learning ways that have worked for other families. Be (stay) well! A lot of wonderful tips. I love the grazing tray! 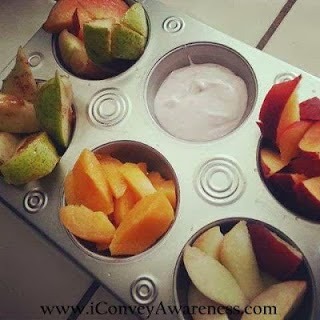 :) That is a great way to keep the good stuff out there for the kiddos to eat. We mix honey with cinnamon and take a spoonful every hour or so. Plus, we also add 1-2 Tbsp of honey and an equal amount of lemon juice to hot water and make a 'lemonade tea'. It really helps when we have sore throats. Hi Dawn! Thanks for the comment and your additional tips. Your lemonade tea is the same recipe as our 'tea.' =) The simplicity of raw honey and fresh lemon juice is easy to remember even for the most overwhelmed and sleep deprived parent. Be (stay) well!